This entry was posted in Brazil, Portugese, Spain on November 18, 2013 by Larysa. Verônica Cavatti – FEMEN Brazil 1 ano. 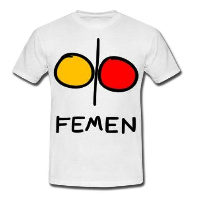 This entry was posted in Brazil, Portugese on April 6, 2013 by FEMEN.